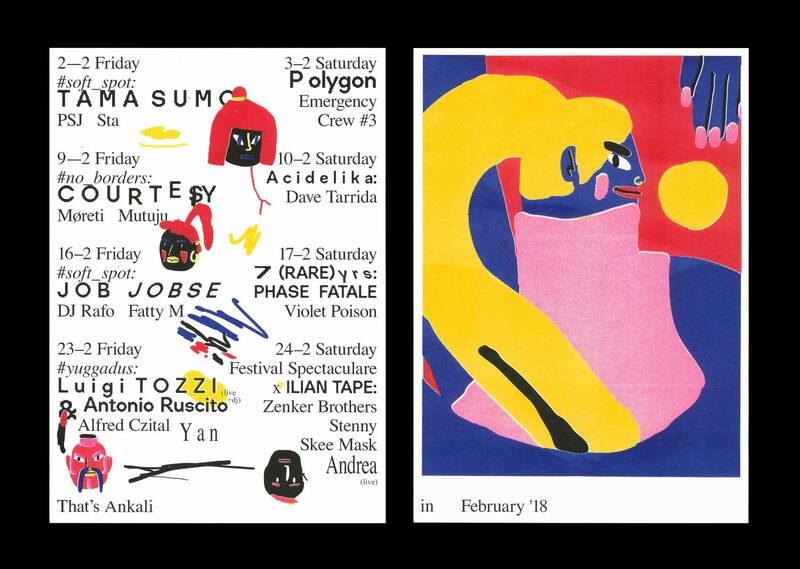 February dose of house will be served by Berlin’s finest Tama Sumo and local groove experts Sta and PSJ. The journey of Kerstin Egert aka Tama Sumo, currently a resident at Panorama Bar, is that which draws from the very core of the house music culture: the struggle of the LGBTQ community within a conservative society and the resulting treatment via weekend escapism into the welcoming world of a groove euphoria under a mirrorball. Since the 1990s Tama Sumo’s grown from a local favourite to become one of the most distinct voices on the House scene of today. In her instinctively composed sets dry chicago house shares space with early disco anthems, african music-influenced cuts and other goodness. Warming up the floor for her Prague debut will be Sta, a resident dj of the forward-thinking clubnignt Deep Beat Avantgarde organised regularly in Cross Club. Also on the bill is PSJ, a regular at Ankali with penchant for warm post-Moodymann vibes.